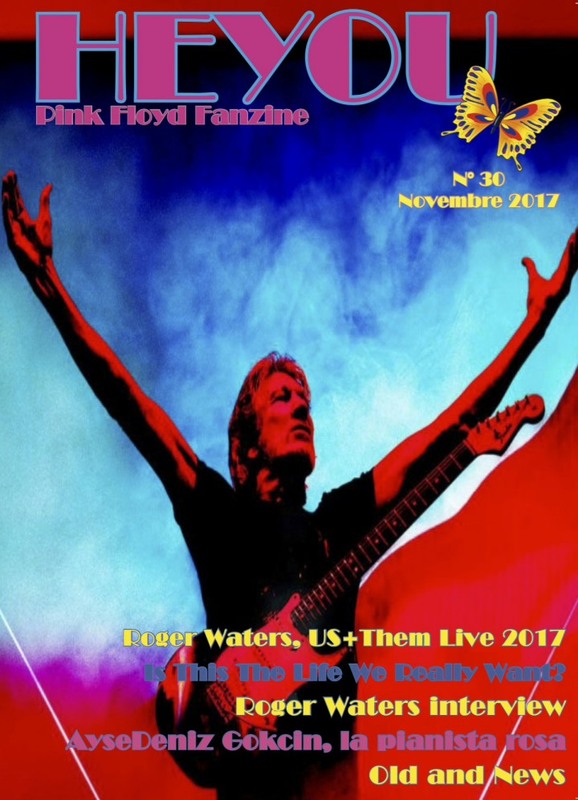 Just published is the latest issue (number 30 - cover date November 2017) of the Pink Floyd fanzine "Heyou" run by our friends over at the Italian website of the same name. The 52-page dual language magazine (in Italian and English), which is published every six months or so, catches up with things in the Floyd world this year. The magazine has as its major focus Roger Waters: his Us + Them tour, and his recently released album, Is This The Life We Really Want? with a reprint of a Rolling Stone interview, a full translation of all the lyrics, and a look at the rehearsal show at the very start of the tour. Elsewhere there is an interview with Turkish pianist/composer/arranger AyseDeniz Gokcin, who combines classical music with other genres, particularly rock music. She is particularly known for her adaptations of Pink Floyd's music. 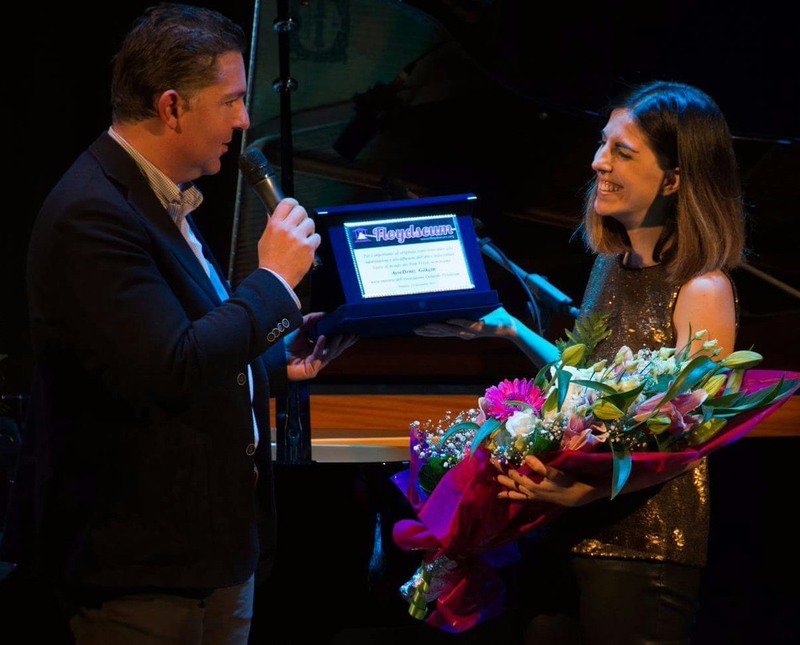 The publishers of Heyou arranged what we hear was an "incredible performance by AyseDeniz" with a supporting group of musicians, The Echoes, on Sunday, November 12th at the Dario Fò theater in Camponogara-Venezia. After the performance, reinterpreting the music of Pink Floyd in a classical, Lisztian style, Alberto Durgante made her an honorary member of the Floydseum cultural association, which he is president of. See photo, left. As with most issues of Heyou, there's a chronological look at things that have happened in the last few months in the news pages, ranging from various magazines published with Floyd content, to re-issues, books published, and more. Strangely, there is a very brief mention of David Gilmour's Live at Pompeii project - one would expect much more about this in the magazine.